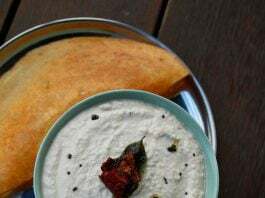 dosa chutney recipe | how to make coconut chutney | chutney for dosa with detailed photo and video recipe. 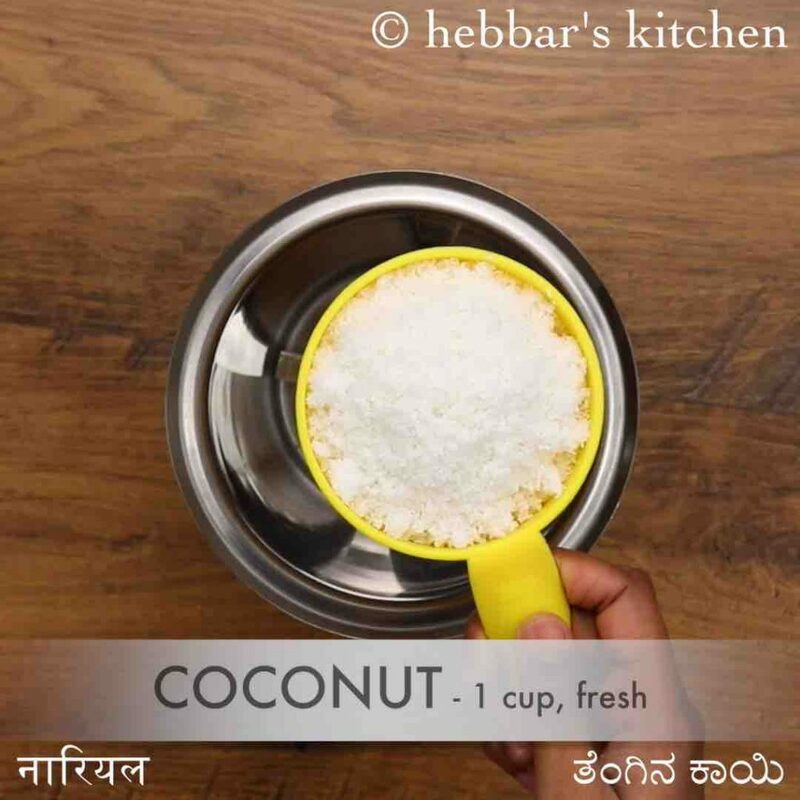 a simple and tasty coconut based condiment recipe which is typically served in restaurants as a side dish. typically it is served alongside with various dosa recipes for breakfast, but can also be served with idli and upma. it is simple to prepare and can make within minutes with freshly available coconut. 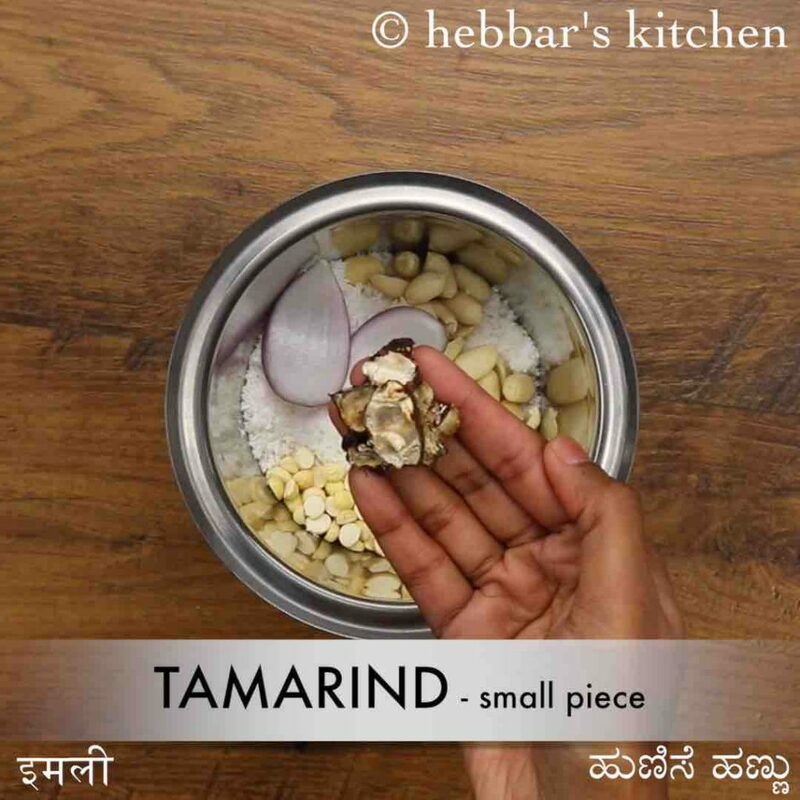 chutney for dosa | how to make coconut chutney | dosa chutney recipe with step by step photo and video recipe. south indian cuisine has myriad variations of spicy and flavoured chatni recipes. ranging from vegetables, spices, lentils, fruit peels to green leafy vegetables which are mainly served for the purpose of taste enhancer. 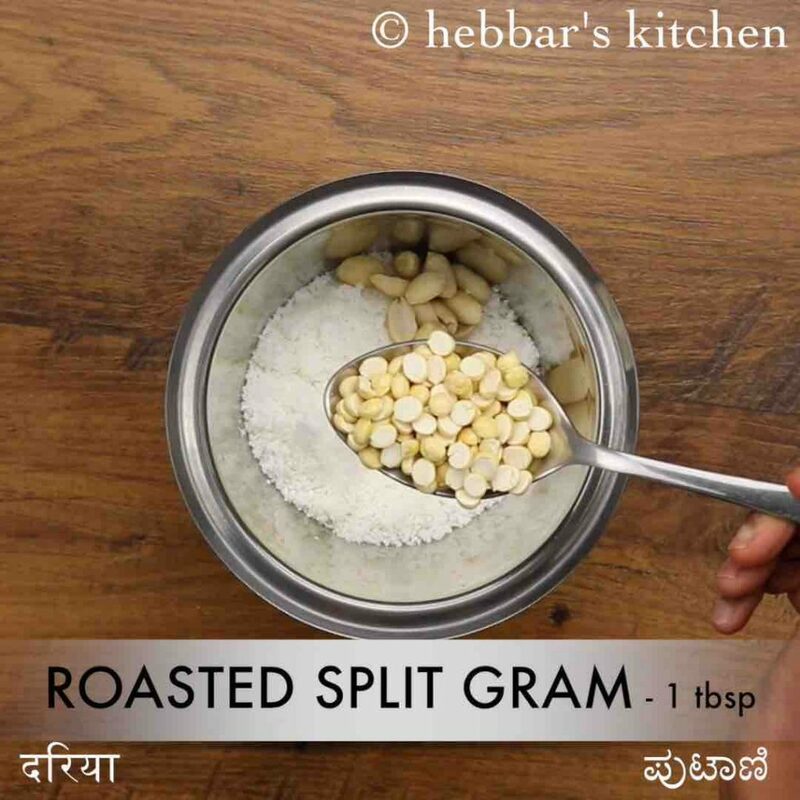 among these, the most common and popular recipe is coconut chutney served with dosa recipes. in this recipe, i have adapted the hotel style of preparing the dosa chutney recipe which is mainly served with dosa. these can also be served with idli but i would post a different recipe post for idli chutney recipe. basically, the chutney for dosa are thicker in consistency and are spicier in taste. whereas the idli chutney is more watery and hence the proportions of the ingredients to match the consistency. in addition, i have also posted a separate post for the simple coconut based chatni and does not contain 2 main ingredients as compared to this recipe. those are roasted peanuts and roasted channa dal (putani) which basically helps to attain more smooth and silky texture to the chutney recipe. 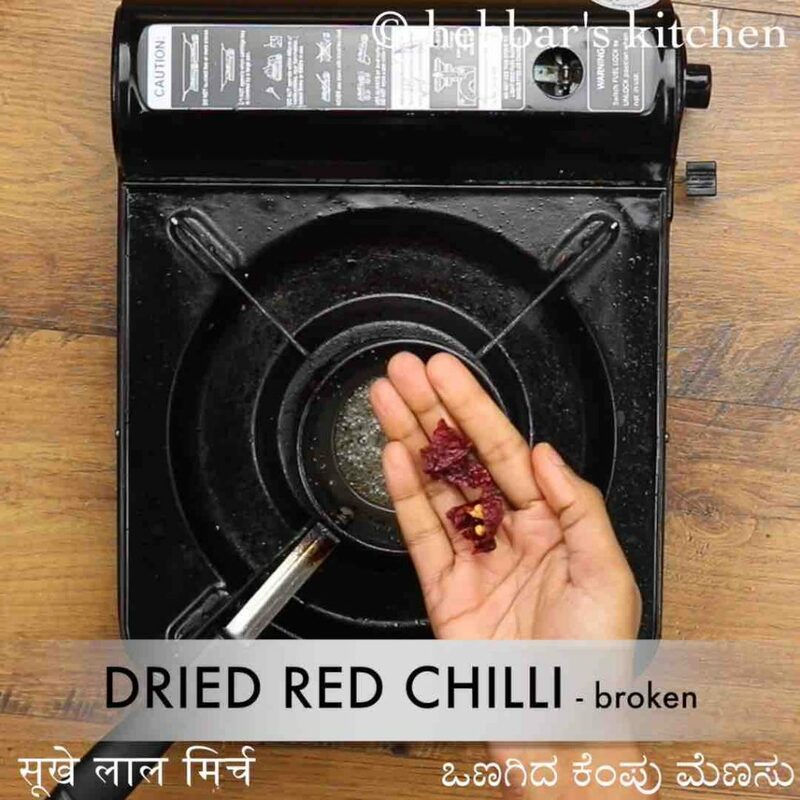 moreover it also adds new dimension to the dosa chutney recipe especially towards the taste and it makes unique from the traditional one. furthermore, some easy tips and variations while preparing dosa chutney recipe. 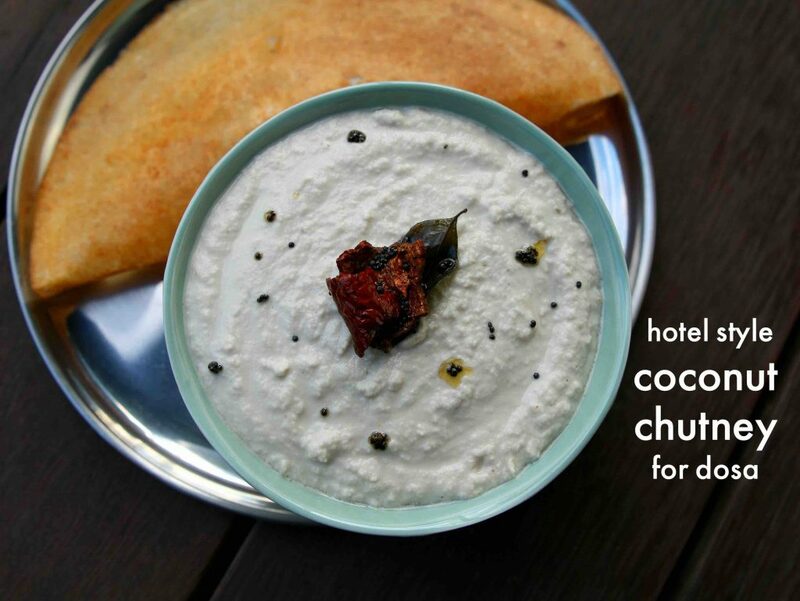 firstly, each hotel may have its own way of preparing the chutney for dosa and may extend it with other ingredients. you can vary it by adding fresh coriander leaves, ginger, garlic and also few onion strips to make it more flavourful. secondly, i would heavily recommend freshly grated coconut for this recipe. but if you do not have access to it you can also use the frozen coconut which you should be able to get it from local indian store. lastly, adding peanuts is optional and you can skip it if you do not wish to. but roasted chana dal or putani is a must for more smoother and silky texture. firstly, in a blender take 1 cup coconut. 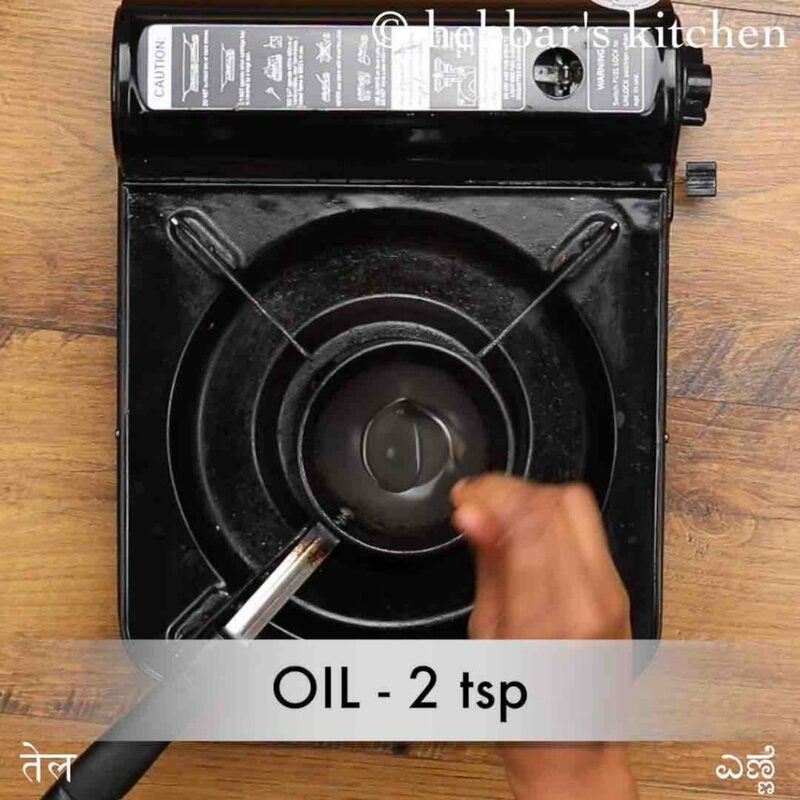 also, add 1 tbsp roasted peanuts and 1 tbsp putani for hotel style texture. additionally, add 2 petals onion, 2 green chilli, small piece tamarind and ½ tsp salt. 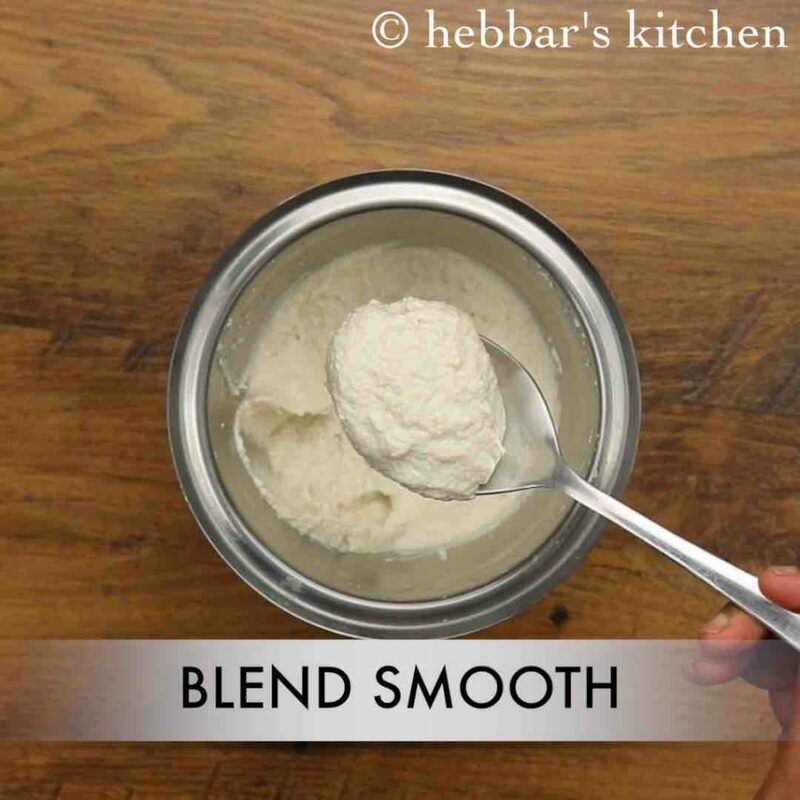 blend to a smooth or coarse paste adding ½ cup water or as required. once the oil turns hot add 1 tsp mustard, 1 red chilli and few curry leaves. 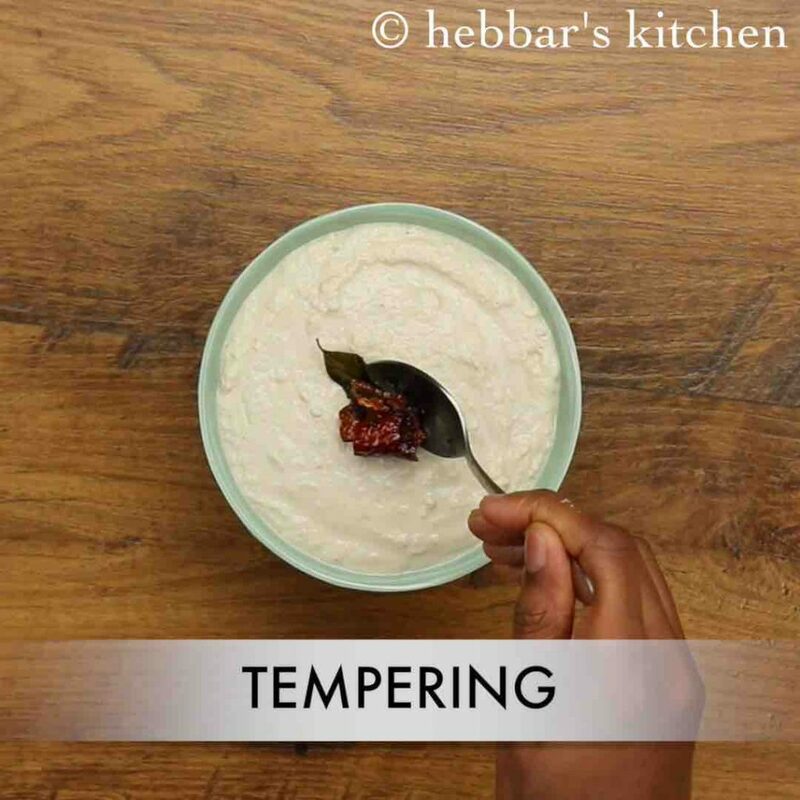 allow to splutter and pour tempering over chutney. 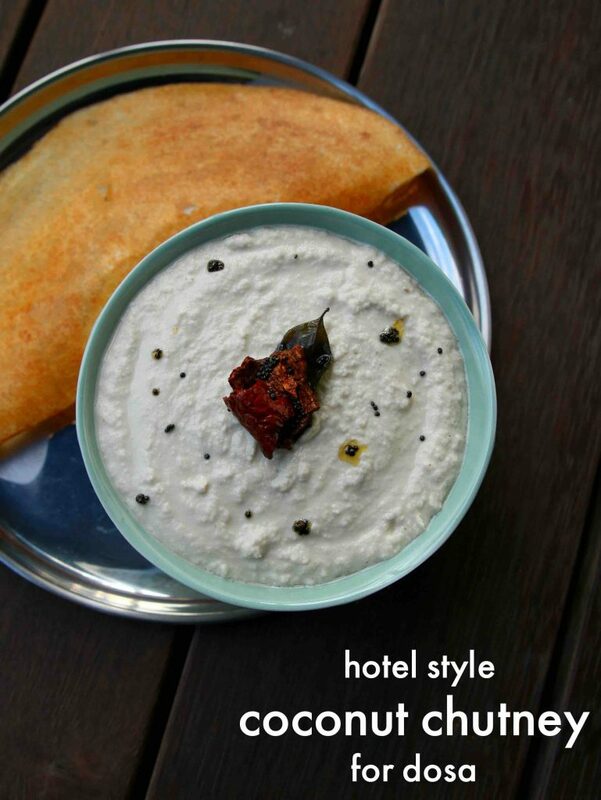 finally, serve hotel style dosa chutney with dosa or idli. firstly, use fresh coconut for more juicy chutney. also adding peanuts and putani helps to make chutney creamy texture. additionally, use hot water if you are living in cold climate to prevent from coconut milk separating. finally, hotel style dosa chutney recipe can be prepared thick or watery.